The tenth annual rendition of the Mars Society's University Rover Challenge (URC) featured an exciting Semi-Finals round of competition on Thursday, June 2nd at the Mars Desert Research Station (MDRS) in southern Utah. 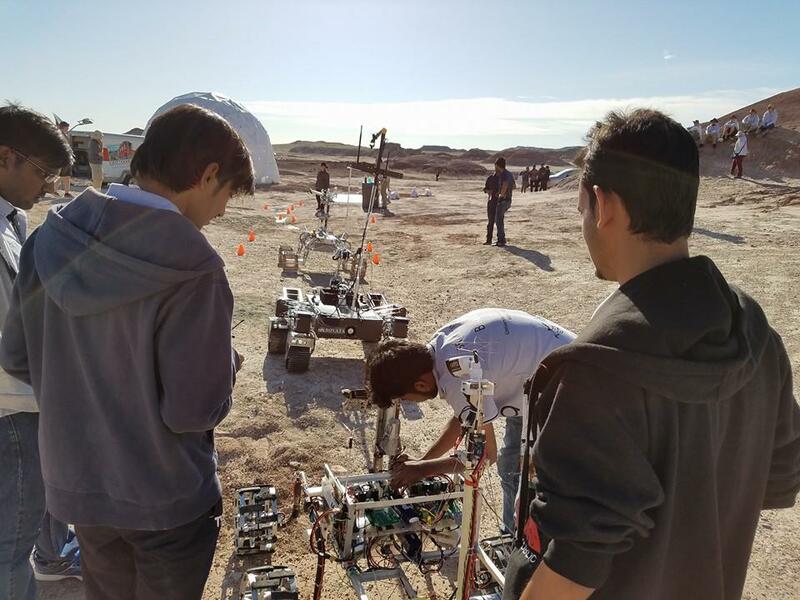 The international robotics competition for college students, which is part of the Rover Challenge Series, features an elite field of teams vying to build the world’s best student-designed Mars rover. The Semi-Finals round of competition is a new feature for URC. Teams were required to compete in a short five minute obstacle course that challenged their ability traverse complex obstacles, perform various manipulation tasks, and demonstrate their scientific knowledge. The fast-paced action was exciting for students and judges, with teams each having three attempts at the course. The top half of competing teams will advance to the Ares Finals over the next two days, where they will compete in four Mars exploration-focused tasks. The remaining teams advance to the Phobos Finals, which features two unique tasks that will challenge the diverse systems. To see the full announcement about Day 1 at URC, please click here.